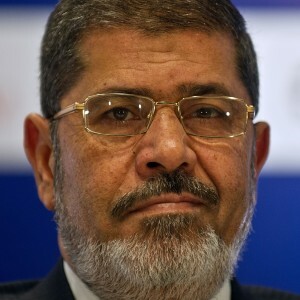 Former President Mohamed Morsi was detained for four days pending interrogation on charges of insulting the judiciary. The detention decision was taken by the investigative body assigned to interrogate Morsi on Saturday morning, state-owned news agency MENA reports. The investigative body, led by Judge Tharwat Hammad, interrogated Morsi in an undisclosed location where he is being held since his ouster on 3 July 2013. The judges interrogating Morsi, accused him of insulting the judiciary in his speech on 26 June 2013. 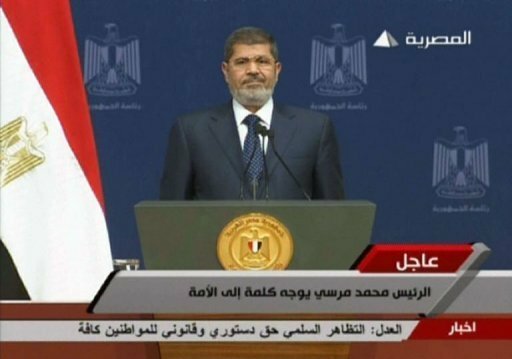 In the speech, Morsi accused Judge Ali El-Nemr and 22 other judges of forging the 2005 Parliamentary Elections. The charges against El-Nemr and the other judges are yet to be proven. The ousted president also faces charges of attempted influence on the court trying former presidential candidate Ahmed Shafiq, and interfering in the General Prosecution’s affairs. MENA reported that Morsi refused to answer the questions raised by the investigators, or to sign the investigation report, which is considered to be an indication that he does not recognise the investigation. Mohamed Morsi was referred by the General Prosecution last Sunday to the Criminal Court for trial regarding the Presidential Palace clashes last December, along with 14 others, including prominent Muslim Brotherhood detained leader Mohamed Al-Beltagy. 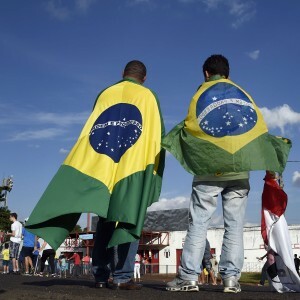 The charges against them include the killing of protesters and inciting violence. The violence left five dead, including journalist El-Hosseiny Abu Deif, and 693 injured. The North Cairo Criminal Court adjourned the trial of Al-Beltagy and Safwat Hegazy to 5 October trial because the accused did not show up in court due to security concerns, state-owned Al-Ahram reported. 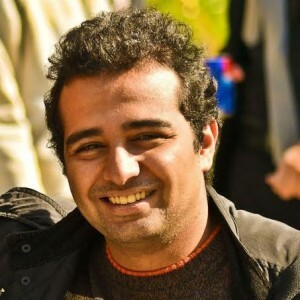 They are being tried for partaking in the kidnapping and torturing of two police officers during the Rabaa Al-Adaweya sit-in. Al-Beltagy, Hegazy and two others are charged with kidnapping, torture and attempted murder of Heliopolis police officers Mohamed Farouk and Hani Eid. The duo, however, face other charges of terrorism, torture, inciting violence and killing during the Rabaa Al-Adaweya sit-in and during its dispersal. Al-Beltagy was arrested in a rural village in Giza while Hegazy was arrested on the Siwa-Matruh road, close to the Libyan border.